We all look forward to escaping the busy life of the city and getting lost in the calm and serene environment of hill stations. However, due to the increment in the field of tourism, these hill stations have become extremely popular, some amongst common tourists and few amongst unconventional travellers. The major speciality of India is that it never runs short of places to surprise its visitors. "Be on a route, you will definitely be leading to some undiscovered places," rightly said and entirely gets along with the image of India. So, here we list down a few uncrowded hill stations which still harbour nascent beauty and natural charm. Looking to escape the disturbed environment for a space of quietude? Well, below are the places which definitely deserve to be on your bucket list. Prospering in the Coimbatore district of Tamil Nadu, Valparai is one of the least-popular hill stations in India, eventually making it a less-crowded place. Valparai is famous amongst its loyal tourists, who come for the tea plantations. Located at an elevation of 3500 feet, it is natural for Valparai to possess exotic beauties in the form of rich plains and composed surroundings. Apart from enjoying the spectacular views, you can also spot certain wild animals, such as Nilgiri tahr, and birds, such as great hornbill, in the evergreen forests of Valparai. How about spending your weekend on this paradise? Being located in the vicinity of Munnar, which is heaven in itself, it is natural for Devikulam to be one of the most beautiful parts of God's Own Country, Kerala. Devikulam is no more one amongst the least-explored places but it is definitely one amongst the least-crowded places in South India. Undoubtedly, the tea plantations of Devikulam enhance its existing charm and add on to its splendour and magnificence. How about visiting this peaceful hill station and taking home the essence of calmness and retirement? How about getting lost in the valleys of fruit plants? Yes, Panchgani is one destination where each and every traveller would like to settle down in forever on account of its incredible beauty and pleasant weather throughout the year. Earlier it was a summer destination of the British but now, it is popular amongst every traveller who loves to retire in the jungles of comfort and bliss. Once you have stepped on the land of Panchgani hill station, you will be filled with zeal and zest to explore its corners. 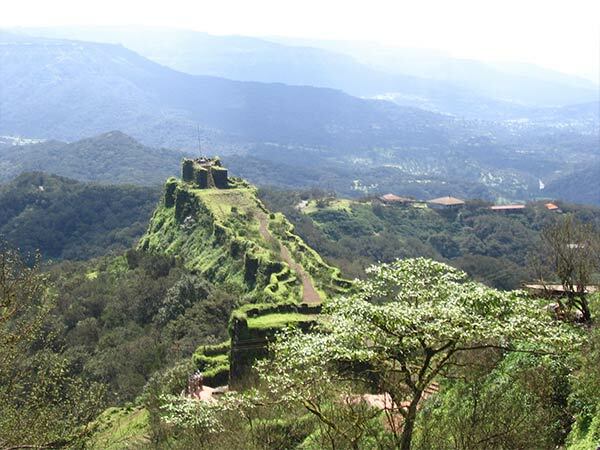 Yes, Panchgani is also a home to strawberry farms, picnic spots, viewpoints, hillocks and certain boarding schools. So, how about being inside the boundaries of this wondrous hill station? A tiny hamlet in the Wayanad district of God's Own Country, Vythiri is no less than a part of heaven. From beautiful lakes to sky-high hills, Vythiri possesses everything which makes this place a must-visit destination, especially amongst nature lovers. If you are tired and bored of visiting extremely popular hill stations, then Vythiri is your spot. Apart from enjoying Lakkidi Hills and Pookode Lake, you can also visit the mysterious Chain Tree, which is believed to be a home of the spirit of a tribal youth, who was killed by the English people. Today, this tree has become a sure-shot stoppage for every passer-by. How about getting yourself here and unravelling the mystery of the Chain Tree? Located in the Visakhapatnam district of Andhra Pradesh, Araku Valley is an underestimated hill station, which is popular amongst off-road travellers for its breathtaking spots and picturesque sites. With its alluring features, Araku Valley has also compelled certain filmmakers from Tollywood to capture its enticing beauty in their camera. Over a period of time, it has become one amongst the favourite shooting destinations of several directors. Settled in the Eastern Ghats, Araku Valley is also rich in vegetation and wildlife.